Nick and I are celebrating our 8th wedding anniversary today. Well, we've been admiring our younger selves and musing over our adventures so far! We've come a long way, in all senses of the expression - though in strictly geographical terms we've had six different addresses, including our interstate relocation to Hamby Home(in)stead. It's good weather for reminiscing. Outside is grey, cold and windy - in sharp contrast to the 30-plus-degree heat we experienced on the day of our lakeside ceremony. Back then I work a sleeveless silk pant-suit. Today I'm wearing jeans, jumper, scarf, woollen socks and boots. Nick and I have both been married before but this anniversary is special because our marriage is now the longest for each of us. We're pretty impressed to have reached that milestone. 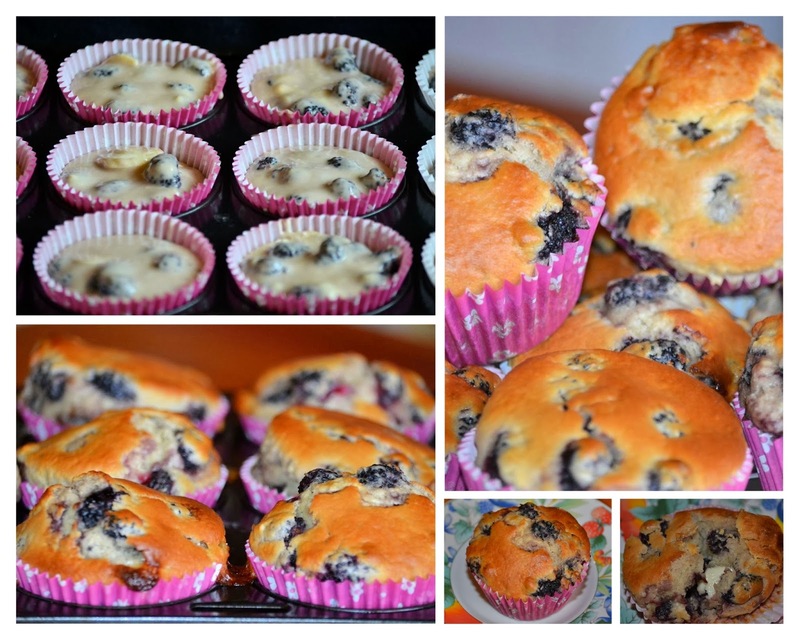 It was definitely worth celebrating with a breakfast of Hamby Home(in)stead mulberry/white chocolate muffins! Peachy PYOing (in our backyard)!